Just 15 miles east of Jackson. 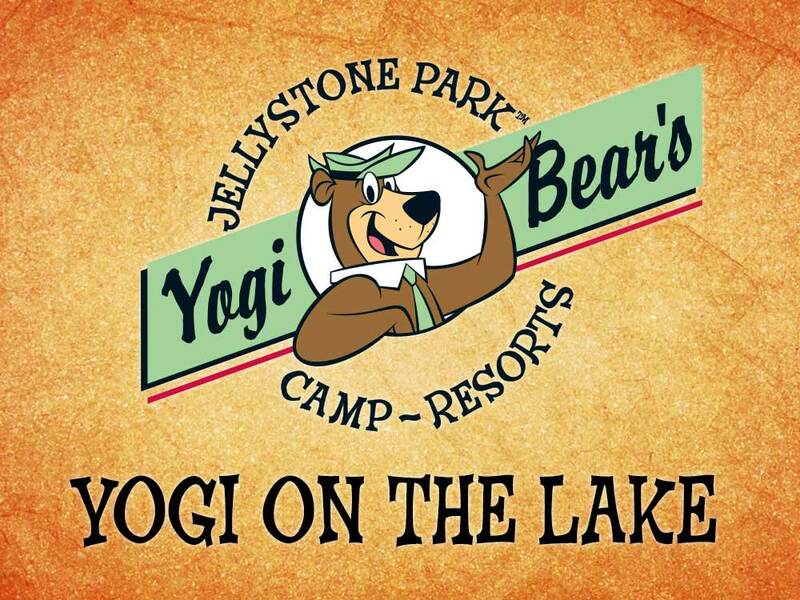 Yogi on the Lake is the family vacation destination in the South. Friendly, clean and active atmosphere. 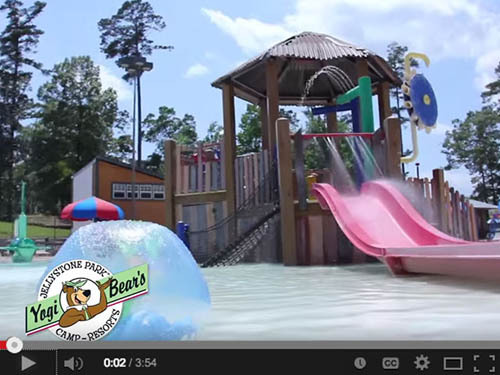 We will greet you and make your stay your most memorable camping vacation of the year. I do not know how this park can get the ratings from Good Sam’s when most of the customer reviews are not good. We called ahead and made reservations. After a very long day of travel, we pull in here and have never been so disappointed. The campgrounds are dirty, unkempt with very little gravel. They are uneven and many of the picknick tables have to sit uneven. The lady in the office was very nice. When arriving at the entrance, it appears well kept. Once back in the campground, it is a totally different vibe. Owners need to spend some serious money redoing campsites. Leveling them, adding lots of rock. On top of that, there is no WiFi. In this day and age, that is unacceptable. Appears to be a relatively new campground with many new sites and cabins being added. Rained most of the time we were there so cannot adequately assess amenities. Appears to be lots of attractions for the younger set. Appears to be good areas for walking. Restrooms and showers clean and well-stocked. Roads in good condition although sites were very soft due to the rain. Probably would not return as it is very youth-oriented. We spent one night at this highly ( but extremely overrated) RV park. The roads were gravel and rutted. Terrain was hilly and sometimes hard to tell the road from the RV campsite. Our pull-through was barely long enough to accommodate our 26' travel trailer and tow vehicle , sloped to the side and on an incline. We raised one side as far as possible and still not level. The hook-ups were spaced very far apart and the sewer hook-up was uphill from the drain on the RV. Hard to drain tanks with the hose going uphill! Overall overrated and price to high for the sites available. We were not the only ones with same complaints about this park. Definitely will not stay here again nor recommend to anyone with an RV. Stayed here in March 2017 with motorhome towing a car. Had a pull thru site. Site was terrible. On sort of gravel/crushed rock, not at all level. Hard to access and exit due to trees and uneven hill we were put on. No exit signs at all from our site to front gate. Cable did not work but found lot of loose cable laying around. Very bad experience. Will not return. Only positive note was office staff was pleasant. Ten years ago this may have been a good park. Now it's rundown, the children's play areas definitely have seen better times. I was in site 220 which was an uneven gravel & mud site. No wifi as advertised, could never get the cable to work. All the facilities were closed, except the office and 'camp store' which is basically soda, worms and souvenirs. The showers were clean, but they were the smallest showers I've ever seen. The shower curtain was 2" shorter than the stall, so the dressing area immediately flooded. No mirror, 1 flimsy hook, the shower rod was not attached to the wall, so it kept falling down. I won't be back. Me and my family just spent a week at the lodge, I would have given them 5 star rating across the board but they did not have a working gas grill as advertised and i showed up with a ton of bar be que food to grill ! This place is amazing and i will come again. VERY Clean, VERY well kept grounds!! Staff was outstanding.. Grandchildren had a great time at the splash pad. Overall great job guys ! The front of the campground is very nice. So if you are camping here, please rent a site in the front . These sites are concrete and looked fairly level. However, we ended up in the 200 section ( our Site was 202 )of the campground. First, there is no Wi-Fi. The sites are pull thrus,but are extremely unlevel. I had to use 2 boards on one side to try and get the trailer close to level. The site is nothing more than a mud hole on a slanted hill. The sewer connection is located higher than the site, so you must manually drain the tanks. The road in there had large ruts, so bad that I had to help the Motor Home parked next to me out. This is the worst park I have ever camped in. Shame on Good Sam for giving them the rating they did. I will never camp here again. It was so bad that I may never camp in the whole state of Mississippi. We stayed 2 nights and lost the cable the first night. Never Again!!! Our family has stayed there off and on for 3 yrs. We are a military family and proudly my husband still serves our country for 23yrs. We have been all over camping. However yogi on the lake in ms. Is the far worst! The staff is rude. The rent a cop gets ugly not only with my family but others as well. Our parents always come on Sunday to eat then leave. We always check them in. The cop always pulls them over and yells at them. Then him and management took our golf cart claimed we had been drinking. Sure we were A COKE! We checked out the next morning the manager didn't want to refund my credit card back for the nights that we weren't going to be using. I had to be very demanding that they are not going to charge me for the following nights that we were not going to be there. Very rude people and we will never go back again so they lost 2,300.00 a summer on this family. Not family friendly. They are not even good management or overall people. 1) Nice prompt phone service. 2) I checked in and I'm in a class A by myself and I asked the girl to please open the gate for me as I pull out. She says hit your horn in case I don't see you. I hit my horn three times ,she never opened the gate and I was the only one checking in. 3) she puts me in a pull through site tells me there's plenty of room I don't have to unhook my tow vehicle and boy was she ever wrong. Caution to anyone that takes lot 339. 4) I start hooking up and I turn the water on (as everyone should always do the flush) and nothing but brown rust water comes out for 60 seconds. A warning would've been nice that no one's use the site in that long of a time. 5) I called to ask for help with the sewer hook up and no one Comes, I call again and a kid breaks the top off and shoves a Coke bottle beside my hose and says will get to it in the morning. You guess that no one ever came of it. 6) they say they have cable at every site but it doesn't work. I call for help she says oh you just got a push some buttons to get at the work. And guess what the maintenance man will come to help you with that tomorrow and tomorrow never came. And the cable never worked. I have a class say 2014 38 footer and everything works when the amenities at a campground work. I spent two nights there and I'm guessing it's early For their season and I may give them another chance. Gave this 1 star because I couldn't do 0 stars. Really looked forward to my first yogi campground, even went out of my way to get there in Pelahatchie, MS on some horrendous back roads - WORST CAMPGROUND EVER!! We got in around 8pm and there were no lights or signs for which way to go. When we finally got to our assigned campsite, it was a flooded mud puddle, the only one around with a sewer, and our water line didn't work (looks like a pipe broke and it flooded around it) AND there was no wifi as advertised. The "gravel parking pad" was what looked like freshly dumped asphalt - black and hard to walk in - that stuck to our shoes. There was no after hours phone line or ranger to call for help or questions, so after trying the water at the two sites next to us (didn't work) we waited until 9am when the office opened to ask for a refund. The office manager said they don't do refunds, and we could have just picked a new site. REALLY?! We should have just driven around in the dark and picked a new site anywhere in the park?! We were supposed to magically know which ones were free and not assigned to someone coming in later at night?? WTF. This was the worst rv/camping experience we've ever had (we've stayed in parks ranging from $100/night in the Florida keys to $25/night in Alabama) and this was the biggest waste of $50 ever! By the way, the website is incredibly misleading and inaccurate - campsites are listed at $36. They don't mention the $6/person fee you have to pay to enter the park as well. So much for southern hospitality. Never going to consider a yogi campground again. I cannot believe how much false advertising they had and how rude the staff was. Great place for kids, not so great for seniors. Restrooms and showers clean nothing special. Laundry facilities terrible. First site I was given was so out of level that I asked to be moved. They did allow me to move with no hassle at all. NO WIFI unless your on one of the sites close to the office. Staff was very friendly and accommodating. What a great place--quiet, clean, very pretty area. While it could use a pet area, there was plenty of space to walk the dogs. It is well maintained and very pretty. We were there during the week, so we were one of only 3 or 4 campers there. I'm sure it is much busier during the summer.